Alimama is Chinese online adnetwork that targeting overseas logistic delivery solution directly contact no middle man instead, The new smartest logistic full wiki. The new service combines Alipay’s cross-border foreign currency settlement capability with overseas delivery solutions from China Smart Logistics Network. 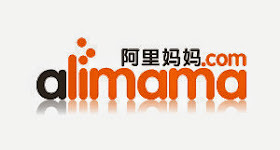 It offers retailers access to e-marketing options from Chinese online ad network Alimama. Alipay is China's leading third-party online payment solution, which is Chinese e-commerce company provides consumer-to-consumer & business-to-consumer sales services via web portals. Alipay is making it easier for Western merchants to leverage the ecosystem of Alibaba Group. Alipay, an affiliate of Alibaba Group, owns 48% of China Smart Logistics, a consortium consisting of major Chinese logistics providers with warehouses and shipping facilities in China and the U.S.
ePass merchants also have access to Alimama, which includes Alibaba Group’s B2C and C2C shopping websites Tmall.com and Taobao Marketplace and shopping search engine eTao. With the smartest innovative of marketing brand promotion of alimama and the most legit online payment solution of alipay, Li said that with ePass, merchants can easily use Alipay’s infrastructure to tap into the China market. With China Smart Logistics, he said, merchants can just ship products to a freight forwarder in their home country. Ali Mama video marketing for your introduction, more dynamic mobile marketing, O2O, application of game promotion, innovative marketing opportunities. Alimama Products: video marketing, intellectual Wireless.